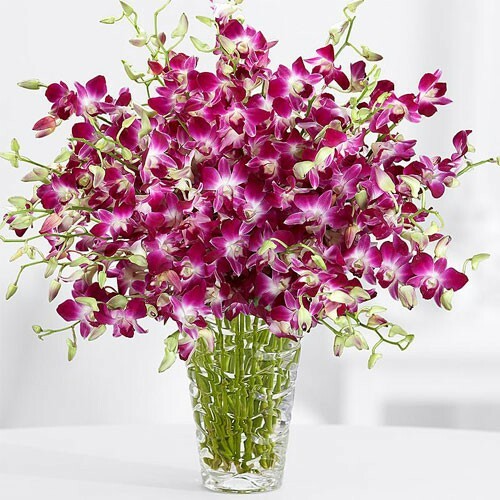 This bouquet of of exotic mistine and fuchsia Dendrobium orchids is perfectly beautiful on its own. Comes well arranged in a clear rectangular glass vase. A perfect gift to celebrate an anniversary, birthday or any special occasion.